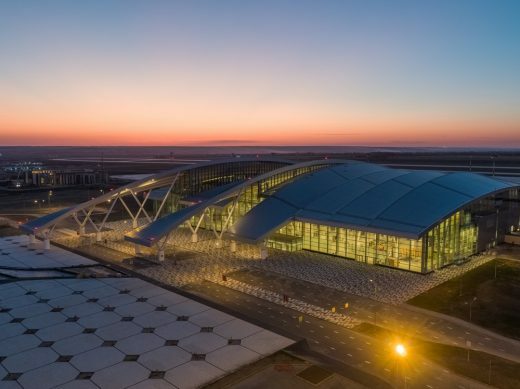 Platov Airport is the first new international airport to be built in Russia’s modern era. 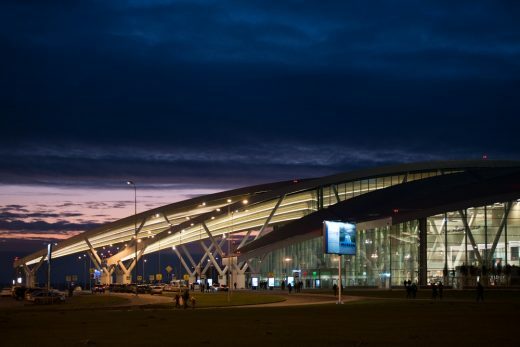 Situated 25 miles north of Rostov on Don, the administrative centre of Rostov Oblast and the Southern Federal District, it replaces the city’s previous airport which was not suitable for further expansion. 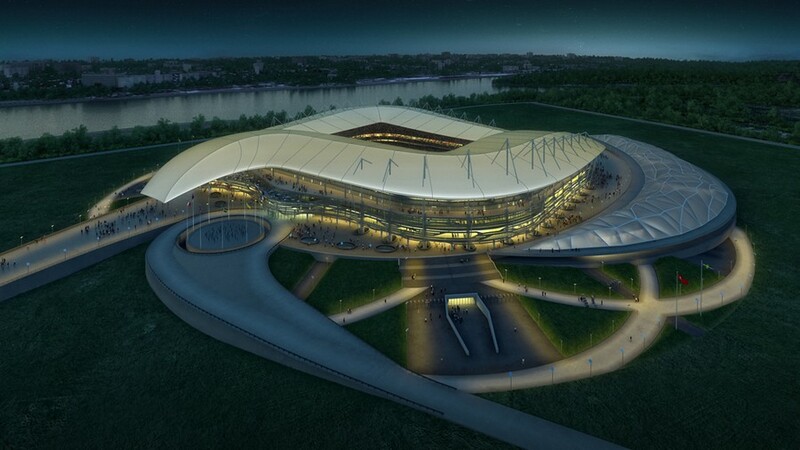 As one of the host cities of the 2018 football World Cup, Rostov on Don expects to welcome thousands of visitors during the event. 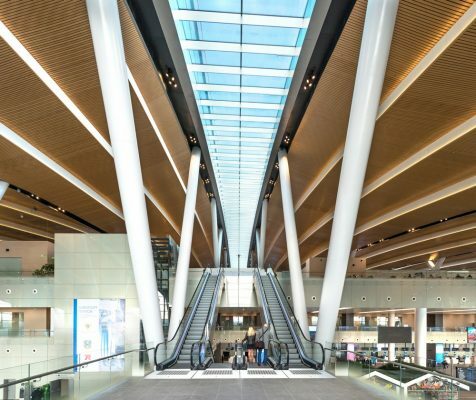 The 50,000 sqm new airport terminal building creates the landmark required by the original competition brief. 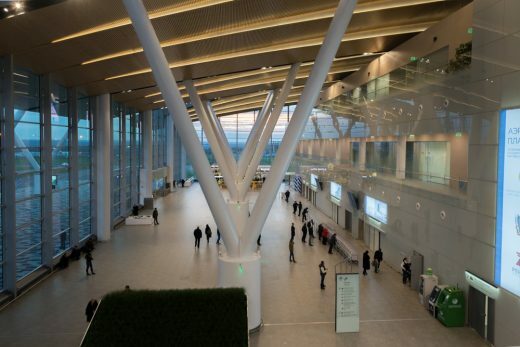 Formed of nine 16-metre-wide arches, the design envisages the airport as a ‘sky-bridge’ that connects Rostov to cities all over the world. A central eight-metre-wide glazed skylight marks the internal boundary between the international and domestic zones. The building is organised on an orthogonal, repetitive 16x16m grid to easily accommodate future expansion by adding roof elements and replacing lateral walls. Using repetitive modules and leaving the airside and landside facades untouched means that the airport will be able to remain in operation whilst expansion works are undertaken. Twelve Architects’ design of the public areas centres on the passenger experience and making air travel enjoyable and memorable. Water, curved forms, carefully chosen materials and maximising natural light have been combined to create a comfortable, stress-free environment. 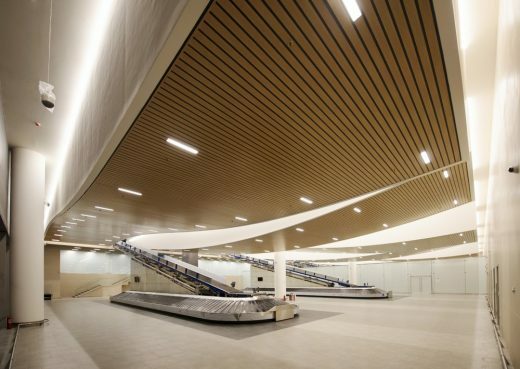 To create the warm, relaxed environment desired, and to overcome the Russian building code ban on timber to interior soffits, the practice has developed a bespoke metal panel system to clad the underside of the roof. This is combined with recessed lighting along each arch to delineate the curve. 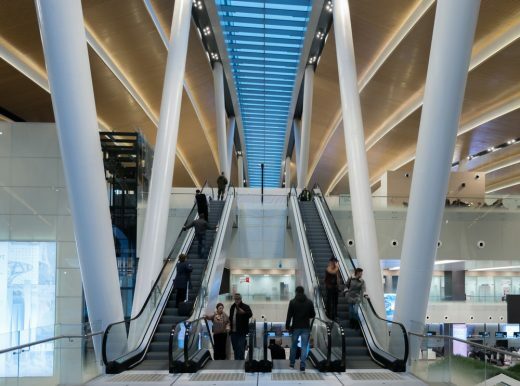 The design concept of the ‘bridge arches’ has been incorporated into baggage reclaim area, with the luggage reclaim system forming extensions to the arched roof that connect down to the baggage carousels. A range of passive and active environmental design measures are incorporated into the design to deal with the southern Russian climate which sees very cold winters and long, warm summers. The arched roof extends to form a canopy providing shading from solar gain and glare which is combined with high performance glazing to the facades. Natural ventilation during the summer months is enabled both through the façade and through openable vents in the roof whilst high levels of insulation to the solid elements of the roof will prevent heat loss in winter months. The thermal mass of the floors absorbs heat and moderates internal temperature. The mechanical service strategy includes heat recovery that reclaims hot air, then mixes it with fresh air and recirculates it into the habitable spaces during the winter months. “It’s always a thrill to see a building completed and open, the culmination of many years’ work by the whole team. 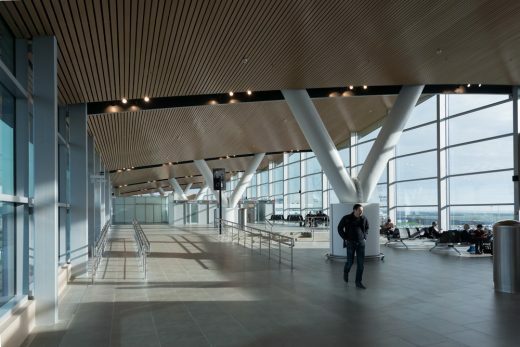 We are delighted with how closely the real Platov Airport resembles our original vision. As well as the passenger terminal, the first phase of development of the airport includes the construction of a 3700m runway, multi-storey carparks, a control tower, MRO hangar, office and hotel development and associated infrastructure. 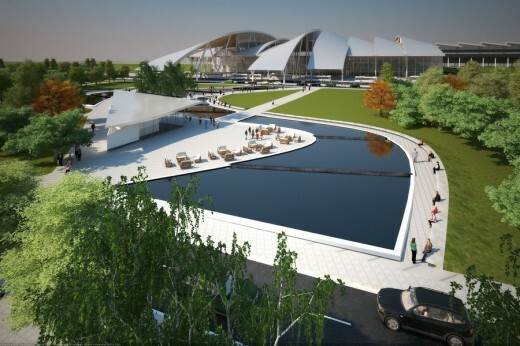 The new transport hub also includes provision for a future high-speed railway station as part of Russia’s planned railway network expansion. 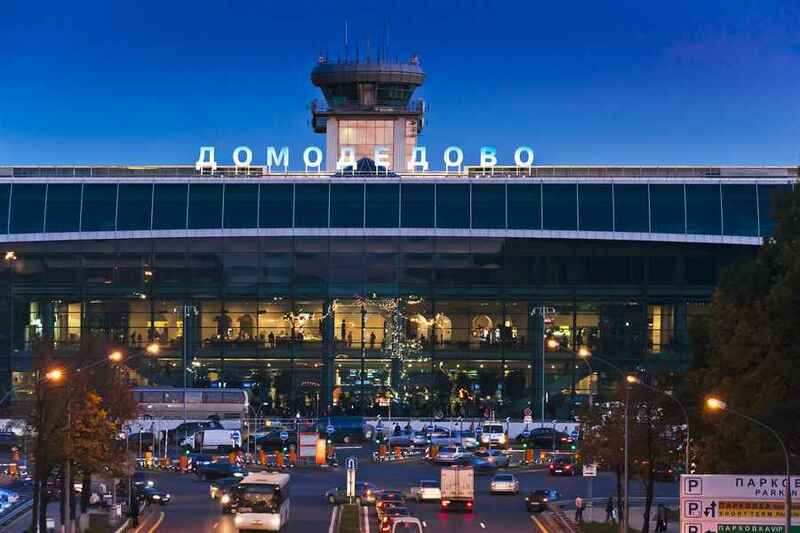 The project was developed by Airports of the Region, part of the Renova Group (one of Russia’s leading private business conglomerates) which will also act as operator. 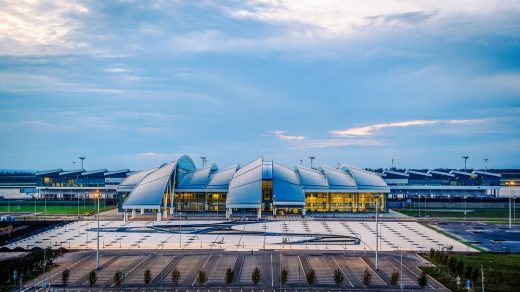 The new Rostov on Don airport in southern Russia, designed by London-based practice Twelve Architects, has been granted Proekt, full approval for the design to move ahead to construction. The news was announced as enabling works on site to prepare transport and utilities infrastructure got underway. The new airport, which is being developed by Airports of the Regions part of the Renova Group, will be completed ready for the football World Cup in 2018. 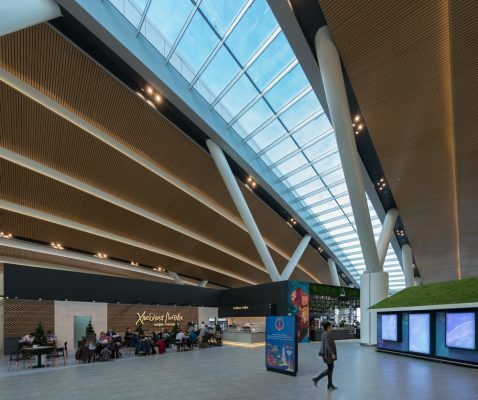 Twelve Architects was appointed to design the 50,000 sq m passenger terminal and associated landscape in September 2013 following an invited two-stage competition which included UK airport specialists Pascall & Watson and ADPI, as well as Haptic and a number of Russian firms. 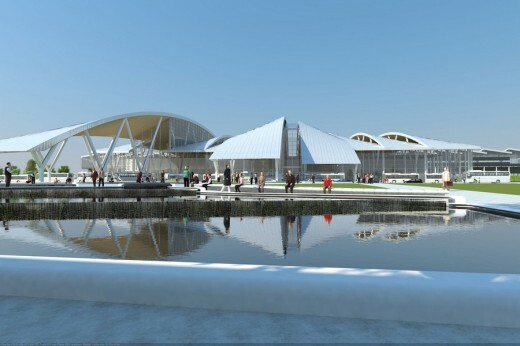 Since winning the competition, the architects have been developing the competition scheme which was described as “risky” by the Regional Transport Minister when he announced the firm’s victory. Whilst the arched roof form remains at the heart of the design, this has been streamlined to nine arches each of 16 metres wide with an eight metre wide central glazed skylight marking the internal boundary between the international and domestic zones. 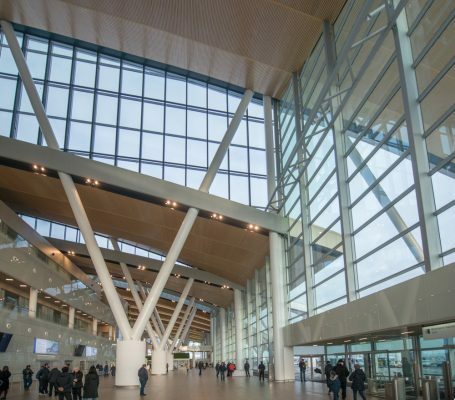 A key aspect of the brief was the ability for the terminal to be expanded as passenger numbers grow. The building is organised on an orthogonal and repetitive 16x16m grid and has been designed to easily accommodate this by adding additional roof elements and replacing lateral walls. Using repetitive modules and leaving the airside and landside facades untouched means that the airport is able to remain in operation whilst expansion works are being undertaken. 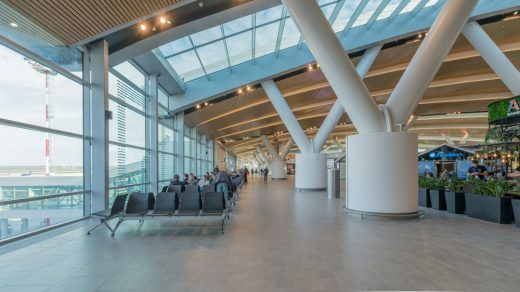 When it opens in 2018, the airport will be designed to accommodate up to 5 million passengers (split approximately equally between domestic and international travellers). Planned growth will add another 100,000 sq m to the terminal, enabling numbers to be trebled. “Part of the competition brief was to create a landmark building, one which is particular to the city of Rostov and is memorable. Our design references the city’s location on the River Don through the use of a large water feature in the main external plaza, which is conceived as a ‘town square’ and connects the airport terminal to the train station, car park, hotel and office buildings. 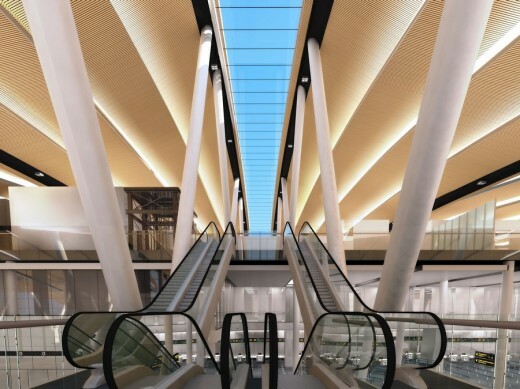 Twelve Architects’ commission also includes the design of the public areas, including international and domestic departures lounges, check in concourse, retail, baggage handling and offices. 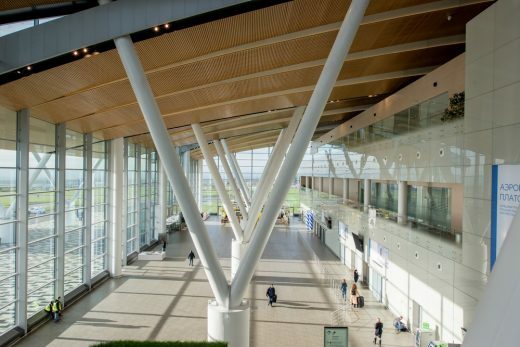 To create the warm, relaxed environment desired, and to overcome the Russian building code ban on timber to interior soffits, the practice has developed a bespoke metal panel system to clad the underside of the roof. This is combined with recessed lighting along each arch to delineate the curve. A range of passive and active environmental design measures are incorporated into the design to deal with the southern Russian climate which sees very cold winters and long, warm summers. The arched roof extends to form a canopy providing shading from solar gain and glare which is combined with high performance glazing to the facades. Natural ventilation during the summer months will be enabled both through the façade and through openable vents in the roof whilst high levels of insulation to the solid elements of the roof will prevent heat loss in winter months. The site enabling works to prepare the transport and utilities infrastructure has commenced and the selection of the main contractor for the terminal is in process with construction due to site in early 2015.